Recently renovated and located in the fashionable Zamalek district, The President Hotel caters to the modern traveller who wants to be in the center of the finest dining and shopping in Cairo. 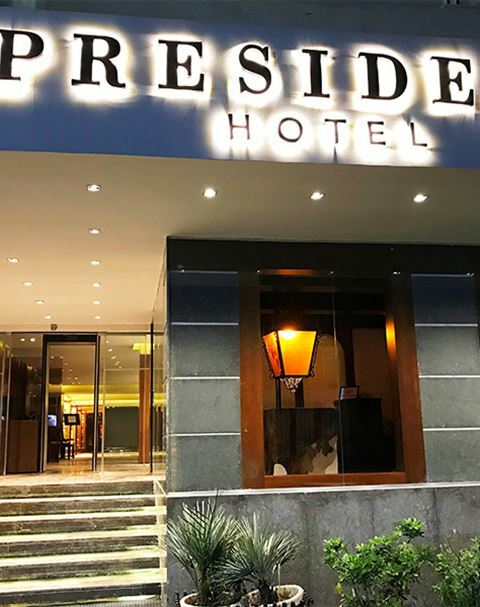 With many options within a stone throw, The President Hotel is a destination in itself, offering comfort and convenience in the hustle and bustle of Cairo. Established in 1979, Le Bec Sucre is one of Cairo's oldest and favorite Patisserie. Located in The President Hotel, it excels in the classic french tradition of pastries and more. An establishment of its own, The Cairo Cellar has enjoyed multi generations of patronage. Serving both Oriental and International specialties. Browse our many room types, catering to different budgets and requirements. Also do enquire about our Long stay deals for people staying one month and longer. Location is everything and no one can beat the President for that. Click here for map and information about local activities. © Copyright 2017 President Hotel All Rights Reserved.